In March of 2012 the Stiftung Buchkunst Foundation (Foundation for Book Art ) based in Frankfurt, Germany, unveiled its list of laureates honored in the 2012 international exhibition Best Book Design From All Over the World. 540 books from 31 countries competed for 14 awards. 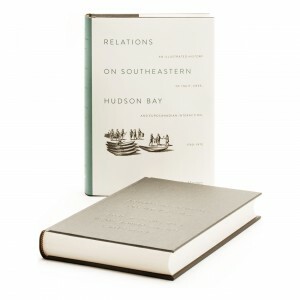 Relations on Southeastern Hudson Bay, designed by Marvin Harder, Artistic Director of Avataq’s Publications Department was one of only three Canadian books that made it to the final international shortlist. This is the second honor for Avataq, the first being an award for the book’s design in March 2011 during the prestigious national contest held by Vancouver’s Alcuin Society. It is worthwhile mentioning that the books entered in this exhibition are judged by a jury of experts who take into account the book’s graphic design as well as typography, the quality of its reproduction and printing, the paper used and its binding. Fourteen prizes are awarded annually. The award winning works are first exhibited during the Leipzig Book Fair, in March, followed by the Frankfurt Book Fair in October. All of these works are then preserved in the Leipzig Deutsche Büchereï, a division of the German National Library. 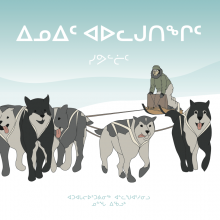 The Avataq team congratulates Marvin Harder who, owing to the quality of his workmanship, has positioned Relations on Southeastern Hudson Bay among the best crafted books in the world.